By LUDWIG VON KOOPA - This is the way the world ends / This is the way the world ends / Not with a bang but with Daylight Savings Time. Did you "spring forward" an hour yesterday? If you didn't, then you're either in Arizona, Hawaii, Saskatchewan, somewhere not in our target audience (we love you, Japan! ), or you... FORGOT! And if you're under that last bit, well, you're screwed! You're probably late to school or work. It's better to not show up at all than to show up late, so get a doctor's note and spend the rest of the day reading KoopaTV articles and getting points for the Loyalty Rewards Program. Daylight Savings Time is one of the worst times of the year. It's an arbitrary (if it wasn't, it wouldn't be able to be changed so easily) time where you adjust every clock in your house or office an hour ahead or an hour back. You hate when it's an hour ahead (like yesterday) and feel slightly better when it's an hour back, since you "get an extra hour of sleep". That hour you spent sleeping is really wasted finding all the clocks and changing them, though. Remember: Since the GameCube, Nintendo systems have had a timer on them. So you better change the internal times to your 3DS and Wii U and any other game system you still use from the past decade, since they sure don't do it automatically! It's pretty frightening that we let the government regulate something as fundamental to nature as time itself. They're gonna put Dialga and Celebi out of business! DST is a government-wide robbery of the Time Gears! 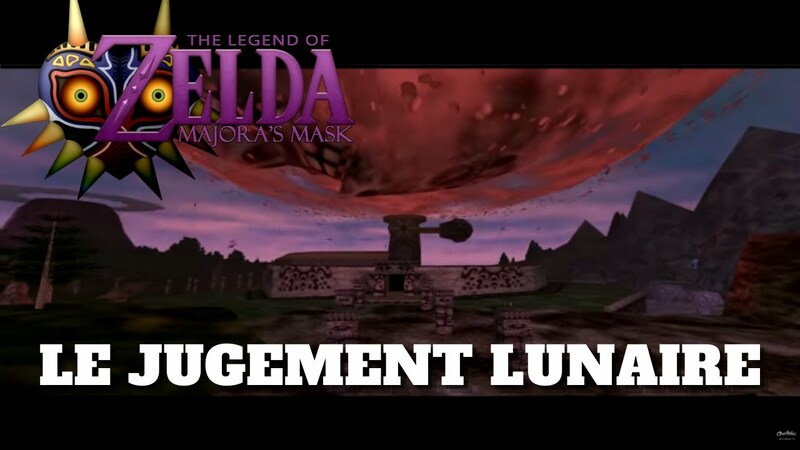 Imagine you are Link going through Termina. The Moon is crashing down. You have one hour left before the world ends. ...AND THEN, WOOPS, YOU DON'T REALLY HAVE AN HOUR. It's... Daylight Savings! So it's game over. For humanity. "The witness testified that he arrived at the crime scene at 3:05 AM and then called police. We already established the victim was murdered at approximately 1:55 AM. So... what happened in the missing hour?!" Phoenix Wright asked. The witness's face turned red, and he was flustered. Simon Blackquill slammed the prosecutor's bench. "Wright-dono, you forget: The night of the murder was Daylight Savings Time! Do not unsheathe your blade if you are only going to dull it with paltry parries like that!" Simon Blackquill retorted. The witness calmed down. "Mr. Wright, what's Daylight Savings Time?" Athena asked. She had spent her years in Europe in Borginia, which did not observe Daylight Savings Time. "Daylight Savings Time is when the clocks are moved forward by an hour for more daylight during working hours. Modern electronic devices automatically adjust, and the timestamps for this case are from such devices." Wright explained. "Witness, what happened next?" The Judge asked, and the testimony continued. ...Okay, enough of that. Clearly, Daylight Savings is obscuring the way towards true justice and the truth. So clearly, KoopaTV has to be against it. You want it? Go to our Store. $35.00 USD 20% off! $28.00 USD! 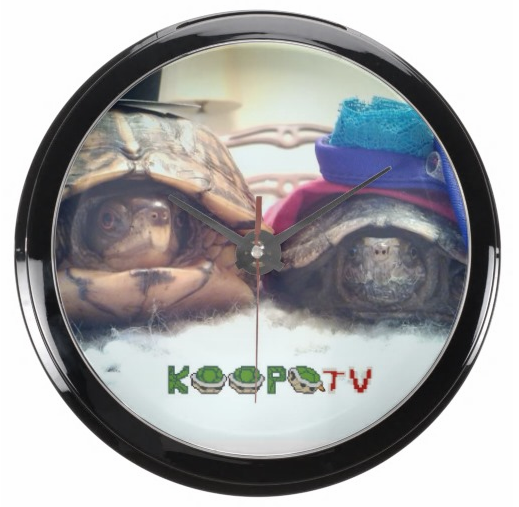 Time is too slow for those who wait, too swift for those who fear, too long for those who grieve, too short for those who rejoice, but for KoopaTV staffers Claira and Devin, time is eternity. Remember: Things like the Leap Year are necessary based on how the Gregorian calendar works. Daylight Savings is just a man-made, arbitrary creation. It's not natural or mathematical. It's a policy thing based on supposedly saving fractions of a percent on energy consumption because the government wants to inconvenience your lives through micromanaging how time works. I really can't get over the hubris that has to be involved in that! They cover it up with cutesie slogans like "Spring Forward", so we'll counter with our cutesie TV Troopas! KoopaTV believes in the values of truth and levity, so the relevant value here is "truth". You cannot know the "true" time if the government is manipulating it! Ludwig spreads his dislike of DST in other places, including Miiverse, where you can Follow him at NNID PrinceOfKoopas! May 25 to May 31: TV Troopas Wall Clock back on sale! KoopaTV joins and advocates for a petition to abolish Daylight Savings Time in 2016. KoopaTV returns to oppose DST in 2017, writing a letter. Double-time! DST opposition happened TWICE in 2017, with a SECOND letter! The politicians are too cowardly to address Daylight Savings Time. Daylight Savings Time gets even worse when plumbers are involved. That picture of Deku Link scares me more than the moon. That one was taken from the Popular Posts on Miiverse. Apparently many people find it... intriguing. And it just goes to show how horrifying DST is! I think daylight savings is still around so people can feel good about manipulating time...but where will they go from there?! Pretty sweet that primal dialga was mentioned,he(it) is pretty cool. It's a shame primal dialga isn't a thing outside of pmd. Maybe we'll just start skipping whole days. Or they'll go to Palkia's territory and start ruining space, too. Oh, those Native American reservations are raising the unemployment rate? THEY DON'T REALLY EXIST, NOPE. THERE'S NOTHING THERE. ONLY 5.5% NATIONAL UNEMPLOYMENT! The closest thing to Primal Dialga outside PMD is... Shadow Lugia in Pokémon XD. ..yeah.